Our stretch film is made of a highly stretchable plastic film that is used in packaging loose items to bind them together. It is the elastic recovery of the film that binds the items tightly. Stretch Film may have several functions like improving the stability of products and packages by forming a unit load, dust & moisture protection, tamper resistance & resistance to package pilferage and extend the shelf life of certain foods. The Stretch Film is made of a highly stretchable material or plastic that is wrapped around the products to keep them from any moving as it keeps the item bound tightly. 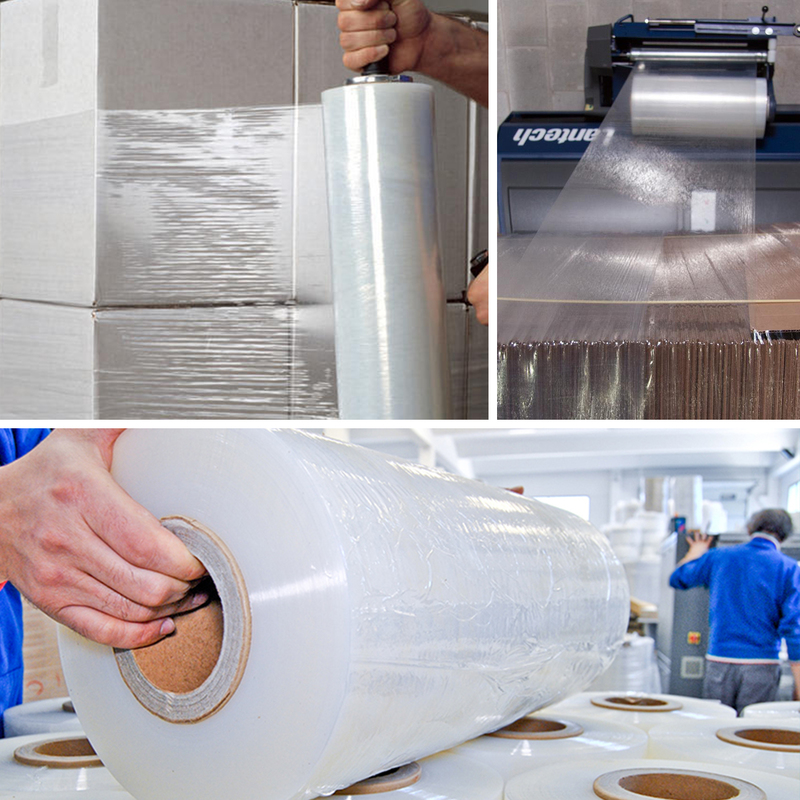 There are different types of stretch films available such as bundling stretch film, hand stretch film, extended core stretch film, machine stretch film and static dissipative film for different purposes.